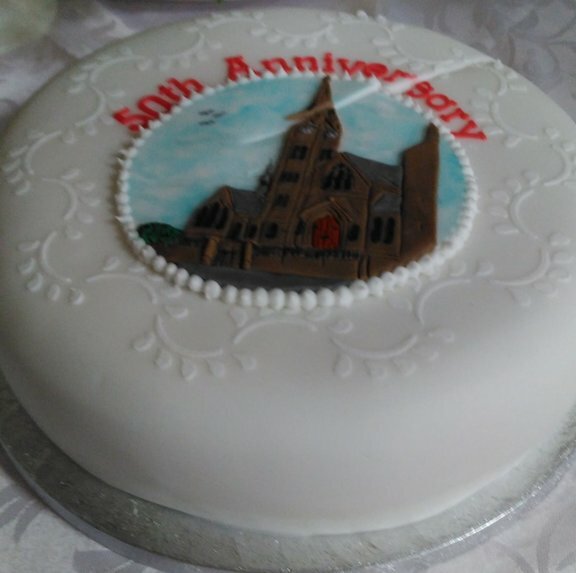 It was a great joy for Sr Margaret Rose Bradley and Sr Maureen Coyle to represent Notre Dame at the Golden Jubilee celebrations of the Parish of St Mary, Mother of God, Leslie, Fife Scotland. 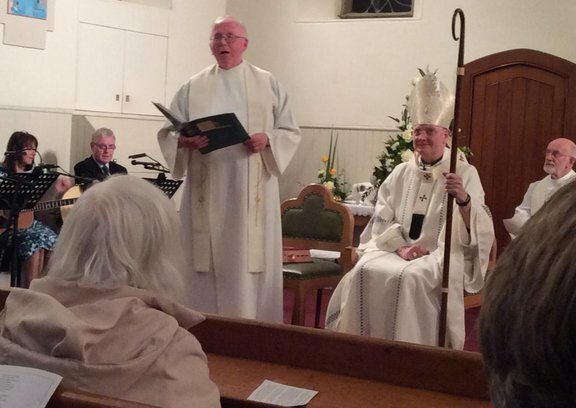 The celebration was a joyful sharing of the Eucharist, with Archbishop Leo Cushley being the principal celebrant while Fr Gerry Hand , the present Parish Priest , and Fr Willy Slavin, concelebrated. 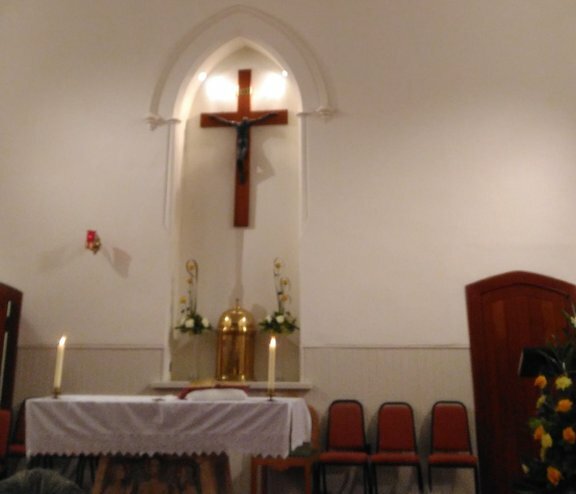 In 1972 , the Sisters of Notre Dame answered a call from the Parish Priest of St Paul's, Glenrothes, Fr John Mc Meel, who requested sisters to come and set up home in Glenrothes, Fife, the neighbouring parish of St Mary's. Six sisters were missioned to Glenrothes. Three sisters were employed in the Parish Primary School while the others set up home, and visited the Parish community . Over the thirty years, many sisters lived in this community which remained in the same house. 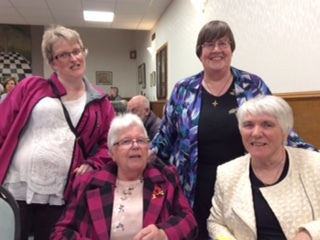 The sisters entered into the spirit of Vatican 2, living and working alongside the people.The second year of the community saw developments as a Playgroup, run by the sisters, opened within St Paul's Parish. Another sister took up a post in St Patrick's Primary School in Lochgelly. Over the many years of service in this area of Scotland, sisters ministered in Pastoral work in the two Parishes of St Paul's and St Mary's. After Mass we had a delicious buffet in the Masonic Hall. It was there that many parishioners greeted the sisters. 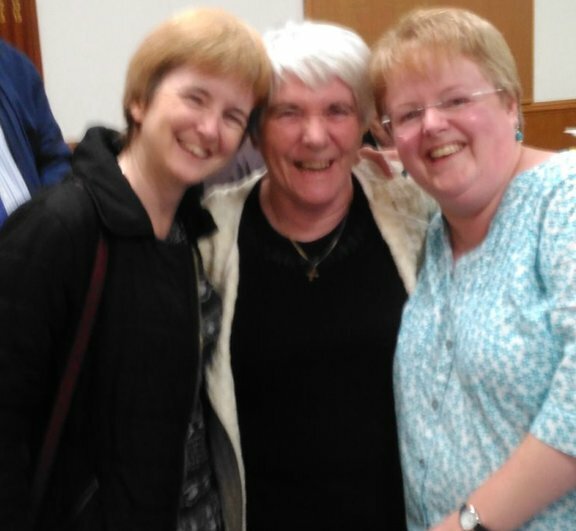 Two of the pupils from 1972 warmly welcomed Sr Maureen Coyle who was their infant teacher. 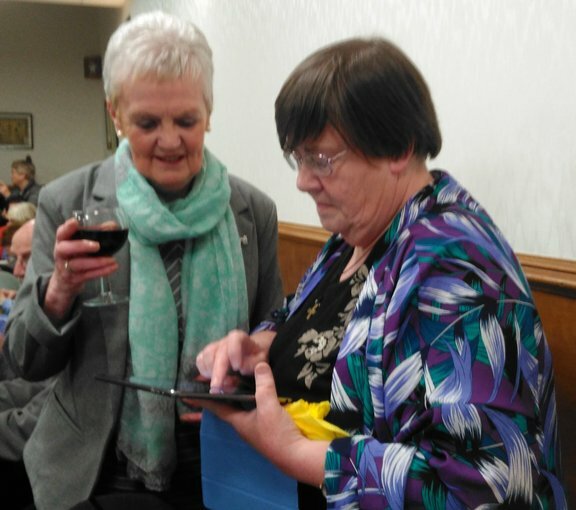 Sr Winifred McSherry's niece Mary, with her daughter, enjoyed chatting, remembering her visits to her aunt who was a member of the community. It was also a great delight to meet some teachers who were colleagues of the sisters who taught in St Paul's Primary. 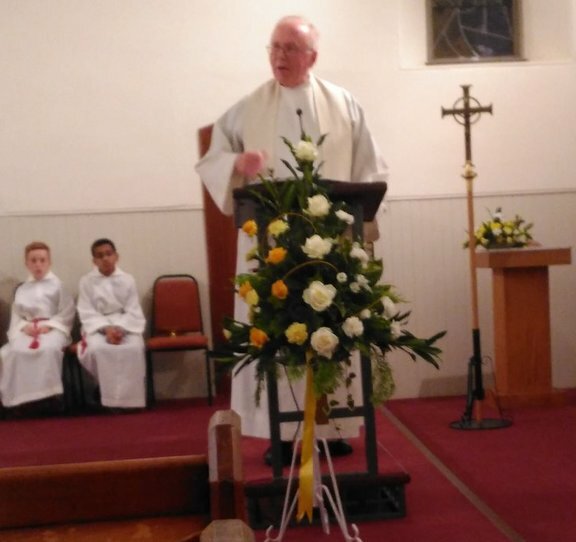 It was indeed a privilege to attend this celebration, where Fr Gerry Hand recognised and publicly thanked the Sisters for the contribution that Notre Dame had made in the history of the Parish of St Mary's Leslie. A lovely time was had with the great people from Fife.